My youngest Mika is a certified pet lover. I still very well remember how hard she'd convinced me to buy her a shih-tzu pup more than 3 years ago. I did not welcome the idea at first but the moment I bought Lucio, a Japanese Spitz and Shih-Tzu mixed breed, new pets have been coming to the house one after the other. Next to Lucio was Marcus, a pure breed Shih-Tzu and this was followed by Alonzo, the last pet we have acquired. 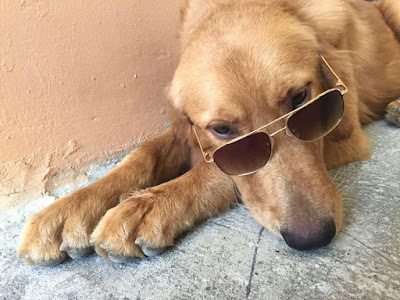 See how cool he is? We bought Alonzo online when he was 3 months old. This was upon the recommendation of my son who was dying to have a Golden Retriever. We actually chip in to raise the required money to buy him from the online seller. Because we love our son and we wanted him to get that simple wish, we had willingly given our "share" to finally have him. To our surprise, Alonzo became my daughter Mika's instant favorite. She really adores him and from then on, she proclaimed Alonzo to be her own pet (lol). Our journey with Alonzo did not come easily. I almost gave up on him. There was one time that I opened up with my kids the idea of swapping Alonzo with a German Shepherd. The problem was he doesn't bark at all and I wanted a dog that could guard the house. Golden Retrievers are known for their sweetness and being playful. 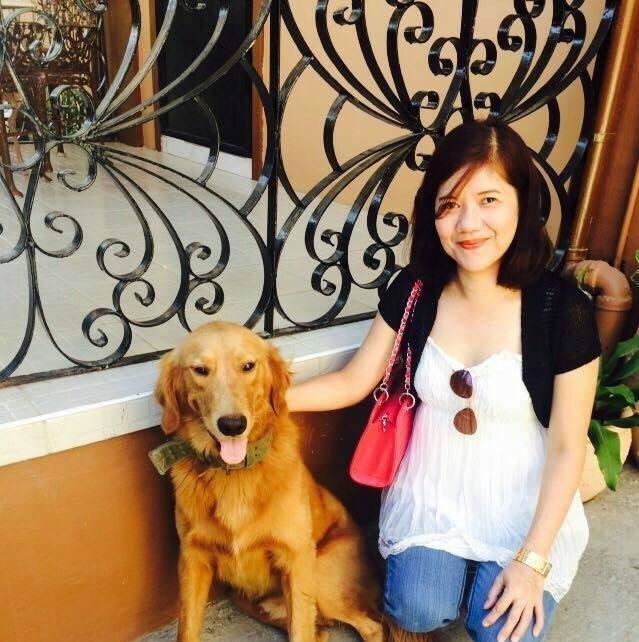 From my readings, I've learned that this breed of dog remains "puppy- like" for many years. In fact they are known to be the finest family dogs in the world. They are friendly with everyone and very welcoming. Because of these things, I almost regret to have a Golden Retriever because that time, I find that it doesn't serve the "purpose". Long after that and because of Alonzo's cheerful attitude, I began to like him and even love him. Mika is the first one to benefit from all these changes in Alonzo, as she became more confident that Alonzo will now "remain" in the house.